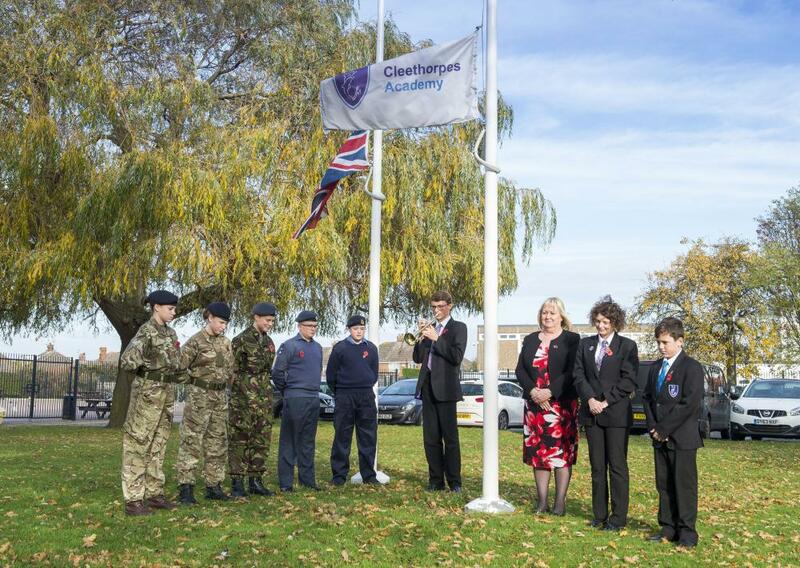 Max Osgothorpe plays The Last Post at Cleethorpes Academy today as students commemorate the centenary of Armistice Day with two minutes' silence. Pictured is Principal Janice Hornby with (l-r) Georgina Vines, Katie Myers, Caitlin Hill, Spencer Lyth, Josh Bennett, Max Osgothorpe, Evie Jarman-Holmes and Ben Smith. Army and Air Cadets dressed in their uniforms as a mark of respect.